It was yet another great privilege for Grace Baptist Church—Eldoret to host the 2017 first Kenyan run of African Pastors Conferences (APCs) on 27th and 28th June. Over fifty pastors, Bible students and teachers, and church-workers registered. The conference theme was “The Biblical Pastor.” This theme was divided in sessions to cover vital areas. On day one, the sessions included ‘The Pastor as a man called by God,’ ‘The Pastor as shepherd,’ ‘The Pastor as preacher of OT narrative,’ and ‘The Pastor as preacher of OT prophecy.’ Sessions on day two were ‘The Pastor in his personal holiness as leader of the church,’ ‘The Pastor as theologian,’ ‘The Pastor as preacher of the Law and the Gospel,’ and finally ‘The Pastor as ambassador of Christ.’ Each day ended with a Question and Answer session. As is the practice of APCs, all those who registered received certificates, bought discounted books, and got some free! 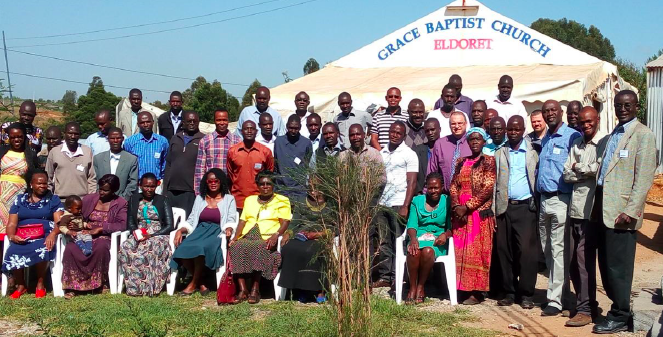 Grace Baptist Church has a vision to plant a biblical church in Nakuru, Kenya’s fourth largest city. We had hoped the work on the ground would begin in July 2015 in Kenya’s second capital city. However, due to a number of logistical challenges, this was suspended. God-willing, the church plant is to begin early 2018. Recently, Pastors John Akeyo and Naphtally Ogallo made an investigative trip which proved very successful. One of the key people on the ground is Maurice. Naphtally taught him theology over fifteen years ago in Nairobi. Maurice and his family have struggled to find a biblical church for years and therefore look forward to this church plant. 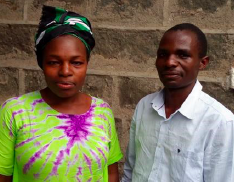 John and another brother in the church hope to relocate to Nakuru in 2018. Thanks be to God that another likeminded church (Emmanuel Baptist Church Nairobi) is also targeting Nakuru with the gospel of Christ.